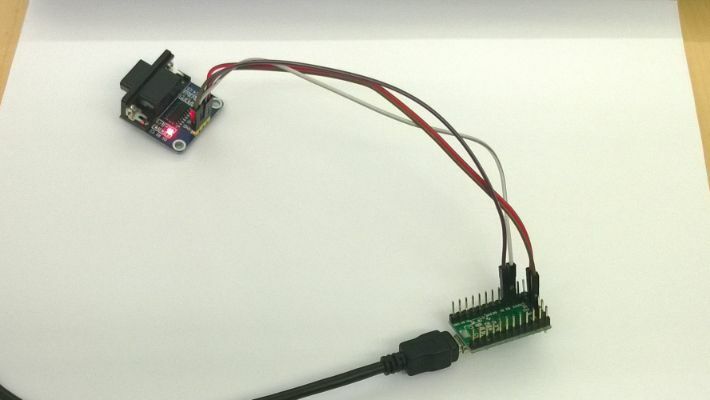 Use the RS232 to TTL converter to communicate from a teensy 2.0 to display on a computer terminal program via an RS232 port. 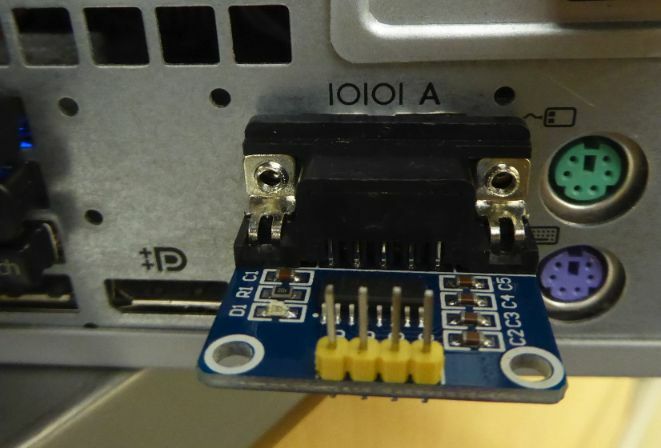 Then connect the TTL-232 module into the DB9 port on your computer. 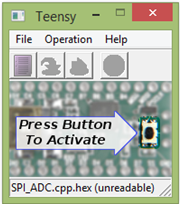 Load the example code TTL_RS232.hex on to the teensy using the Teensy bootloader. 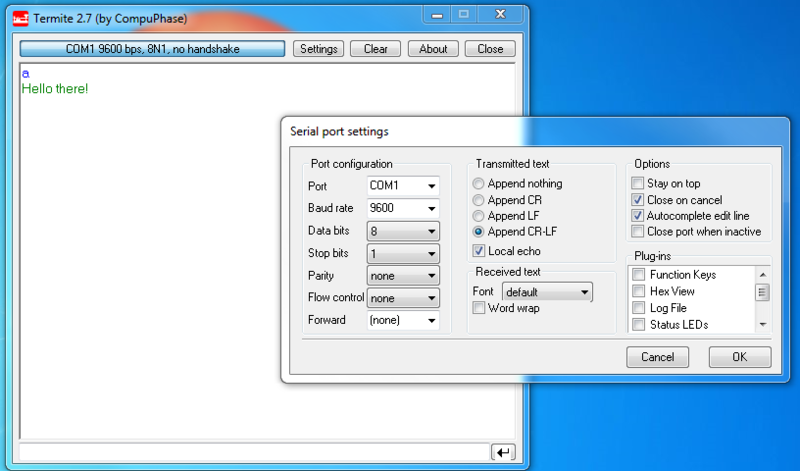 Open a USB serial communication terminal software (I recommend Termite). Under settings set the Baud rate to 9600, Data bits to 8, Stop bits to 1 and set Port to “COM 1”. When you are all done click “Ok”. 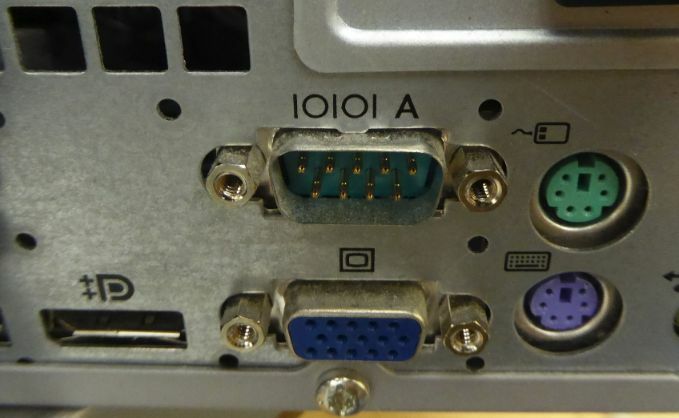 Congratulations you have now successfully used the TTL-232 module to communicate between a Teensy 2.0 and the DB-9 port on your computer.